NASA is ready for planetary defense and soothes the population’s concerns with regard to the asteroid that will pass near Earth today, in less than ten hours. Astronomers stated that the near-Earth object will make its closest approach today, starting at 6:00 p.m. Pacific Standard Time and the moment will be monitored by the robotic telescope Slooh from the Canary Islands. The “rendezvous” with the tiny asteroid is a reminder of last year’s event in Chelyabinsk, Russia when an asteroid exploded 18 miles above Siberia and released the equivalent energy of over 20 atomic bombs. NASA has taken precautionary measures with regard to the safety of the planet and monitors asteroid 2000 EM26, which can be seen via a live image stream later today. The asteroid that will pass near Earth today in less than ten hours poses no threat to people and even though it will pass at a safe distance from the Earth, NASA is ready for planetary defense thanks to its newest program, Asteroid Redirect Mission (ARM). According to the agency, in the next decade a robotic system could be able to grab a 12-meter asteroid and put it into a space “shopping bag,” and then propel it to the Moon. Astronauts will be sent on the asteroid in an Orion spacecraft in order to take samples and then return them to Earth. Capturing and redirecting a small asteroid is doable, according to Paul Chodas, senior scientist at NASA’s Jet Propulsion Laboratory (JPL) Near-Earth Object Program Office. However, the problem with the agency’s plan is that the small objects do not reflect plenty of sunlight; therefore they cannot be spotted. “The best time to discover them is when they are brightest, when they are close to Earth,” Chodas said. Small teams of astronomers with the sole purpose of spotting the small objects using optical telescopes send their findings to a computer at the JPL in Pasadena, California, where the size and orbit are calculated and added to a database. Every time an asteroid within the accepted parameters is spotted, an automated system sends an e-mail with the subject line “New ARM Candidate.” However, NASA’s budget only allows two ARM targets per year. Although the agency’s budget for Near Earth Object Observation Program is no more than $20 million per year and ARM received an additional $105 million, it boosts its existing efforts with the help of public-private partnerships, incentive prizes and crowdsourcing. Today, asteroid 2000 EM26 will zip by Earth, but NASA is ready for planetary defense in case something should happen. 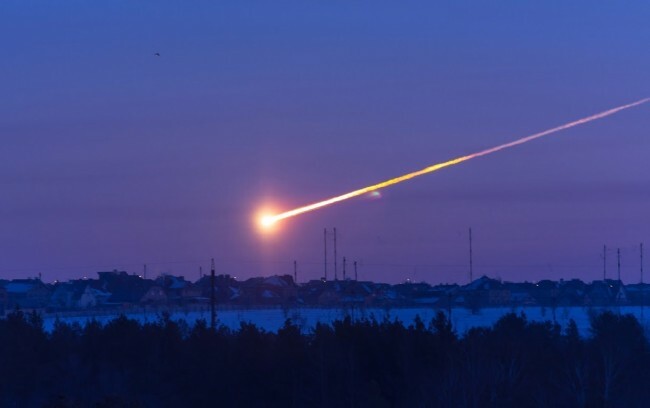 Following last year’s incident with the meteorite which showed up unexpectedly over Russia and exploded, the agency is closely watching the presumably harmless object with an approximate diameter of three football fields. Cox added the necessity of finding the “potentially hazardous asteroids” before they hit the planet. NASA acknowledged Slooh’s work in 2013 when the former invited the latter to participate in its Asteroid Grand Challenge. The asteroid will pass near Earth today, in less than ten hours, but astronomers stated that it will only make a close brush of Earth and NASA is ready for planetary defense, should anything go wrong. 7 Responses to "NASA Ready for Planetary Defense, Asteroid Passes Near Earth Today"
Asteroid impacts are inevitable. One day there will be a significant collision but humanity hasn’t yet figured out how to work cooperatively to redirect them. Same goes for global warming and that is a much more significant and imminent threat. We can thank the Messiah for all of the NASA and Space Systems cutbacks. Planned obsolescence for our precious earth. The writer of this article did not do her homework. NASA does NOT currently have the capability to deal with an asteroid of any size tonight, or at anytime in the near future. If this rock WERE on a collision course, we’d all be kissing our loved ones good-bye tonight. Fortunately for us all, this small space mountain will miss us by a couple million miles. Next one might not, so it’s good that NASA and others are working on the problem. If we do find ourselves on such a collision course, and the asteroid is not redirected, Earth’s “reset-button” will be hit, there will be thousands of years of climate and biological chaos, which humanity may or may not survive. If such a large rock IS redirected, we and all the biology we share this planet with today, get to keep evolving. I wonder which outcome Mother Earth is hoping for? NASA ready for :Planetary defense??? Surely you jest. How on earth does NASA propose to defend the planet? Go get em NASA and good luck. I have followed your efforts since the Gemini space walks.